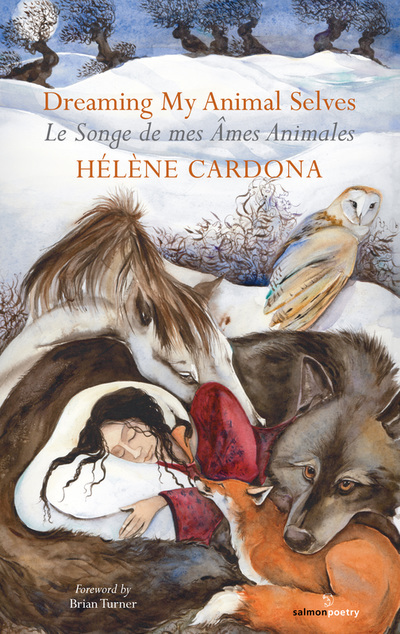 A poet, literary translator and actor, Hélène is the recipient of numerous awards and honors, including a Hemingway Grant and the USA Best Book Award. 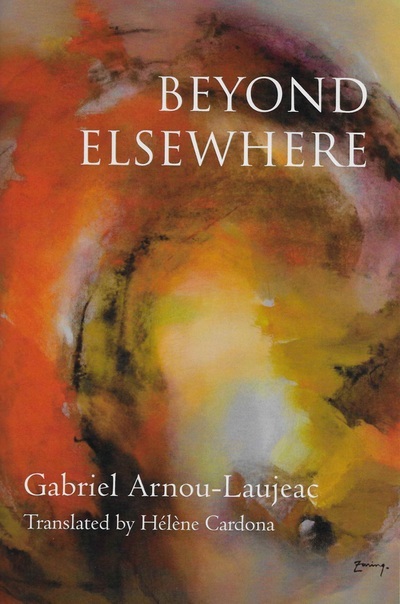 Her books include two translations: Beyond Elsewhere (White Pine Press, 2016) and Ce que nous portons (Éditions du Cygne, 2014); and three bilingual poetry collections, most recently Life in Suspension (Salmon Poetry, 2016) and Dreaming My Animal Selves (Salmon Poetry, 2013). A Romanian translation of Dreaming My Animal Selves has been published by Junimea Editions in 2016. 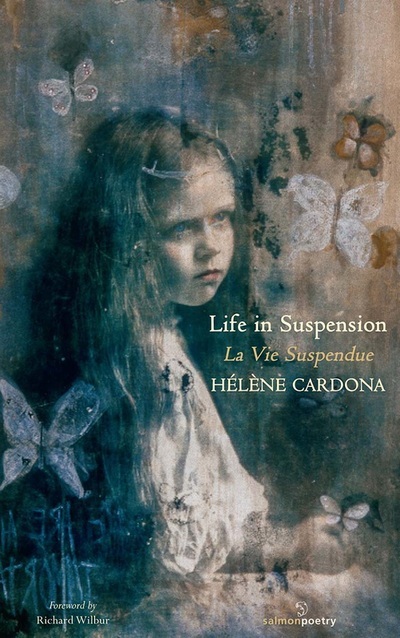 A citizen of the United States, France and Spain, Hélène Cardona is fluent in English, French, Spanish, German, Greek and Italian. Born in Paris of a Greek mother and Spanish father and raised all over Europe, she studied English Philology and Literature in Cambridge, England; Spanish at the International Universities of Santander and Baeza, Spain; and German at the Goethe Institute in Bremen, Germany. She attended Hamilton College, New York, where she also taught French and Spanish, and the Sorbonne, Paris, where she wrote her thesis on Henry James for her Master’s in American Literature. She worked as a translator/interpreter for the Canadian Embassy in Paris. She co-edits Fulcrum: An Anthology of Poetry and Aesthetics, is Co-International Editor of Plume, Essay contributor to The London Magazine, and co-producer of the documentary Pablo Neruda: The Poet’s Calling. She has translated Walt Whitman’s Civil War Writings for the Iowa International Writing Program’s WhitmanWeb. 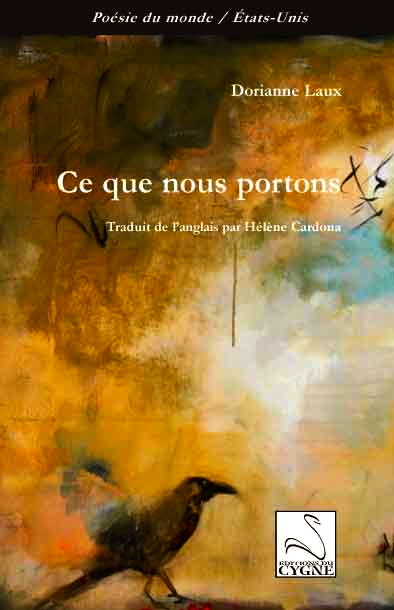 She also has translated the poetry of Rimbaud, Baudelaire, Aloysius Bertrand, Maram Al-Masri, René Depestre, Ernest Pépin, Jean-Claude Renard, and her father José Manuel Cardona into English, as well as the Lawrence Bridges film Muse of Fire for the NEA. Further publications include Washington Square, World Literature Today, Poetry International, The Irish Literary Times, The Warwick Review, TAB: The Journal of Poetry & Poetics, and elsewhere. She also writes children stories and co-wrote with John FitzGerald the screenplay Primate, based on his novel. Acting credits include Chocolat, Jurassic World, Dawn of the Planet of the Apes, The Hundred-Foot Journey, Muppets Most Wanted, X-Men Days of Future Past, Happy Feet 2, Mumford, & many more. For Serendipity she co-wrote with director Peter Chelsom and composer Alan Silvestri the song Lucienne, which she sang. Check out and Read all of her beautiful books!